(Editor’s Note: With one of the nation’s richest golfing histories, North Carolina’s portfolio of courses from the mountains to the coast is unmatched in its variety, topography and strategy. So, who do we credit for some of these golfing jewels? Well, the golf course architects, of course. The first in a series of insights on North Carolina’s top living golf course designers, Triad Golf Today and Triangle Golf Today take a look at Tom Fazio. 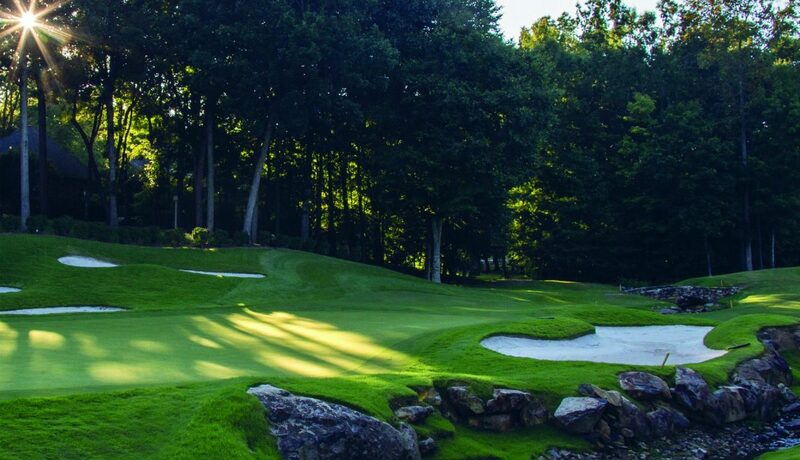 When famed golf course designer Tom Fazio came to the mountains of Western North Carolina in the mid 1980s to design Wade Hampton Golf Club in Cashiers, it was love at first sight. Not only with the majestic scenery and views, and the potential to carve beautiful and challenging 18-hole layouts, but the atmosphere and friendliness of the people so entranced him that he moved his wife Susan and six kids to a farm in the Horse Shoe community in Henderson County because he thought it was the perfect place to raise a family. And while he made his home in Horse Shoe and later Hendersonville, set up his main design office in downtown Hendersonville and went to the kids’ soccer games and school plays, he also continued what he does as well or better than anyone in the world – build golf courses that people want to play. A recent Golfweek magazine rankings of the top layouts in America included the Top 10 residential courses in North Carolina – and it almost reads like a stroll through Fazio’s bio of Old North State golf. Eight of the 10 courses are Fazio designs, including five in Western North Carolina – No. 1 Wade Hampton, No. 2 Mountaintop in Cashiers, No. 4 Diamond Creek in Banner Elk, No. 7 Champion Hills in Hendersonville and No. 9 Bright’s Creek in Mill Spring. The other Fazio designs on the list include the North (No. 5) and South (No. 6) courses at Forest Creek near Pinehurst and No. 10 Treyburn in Durham. In the latest Golf Digest Top 100 rankings, a full one third – 33 courses around the world – are Fazio designs. 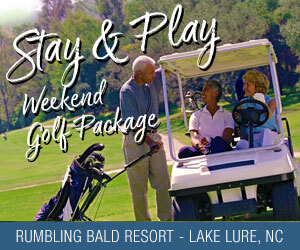 Wade Hampton opened in 1987 to rave reviews and has been among the state and the country’s top layouts ever since. And it started a 20-year run of prolific design that resulted in 17 Fazio designs from the mountains to the coast of North Carolina. “It’s not just in North Carolina, but industry wide we had 15 years from 1992-2007, of incredible growth in the industry,” said Fazio, who is staying busy at age 73, though much of the work of is now being done by his son Logan. And now his courses have been around long enough that he is in the process of renovating some of his layouts. He is teaming up with new owner John McConnell of McConnell Golf to rework one of his jewels, Old North State about 25 miles south of Asheboro. Ranked fourth among the state’s Top 100 courses by the N.C. Golf Panel, Fazio designed the Old North State layout that opened in 1992. “It’s a wonderful, beautiful course with the lakefront property,” Fazio said. “John McConnell and I are doing a long-range plan on renovations and upgrades. John’s going to put some resources into it and it will get even better, back to its heyday. With such unique and totally different landscapes to work with – from the coast to the Sandhills to the mountains – Fazio is like an artist with an array of bright colors to paint with. “North Carolina has everything, so much to offer that if I only worked in this state, I would consider that a great privilege because there is so much variety,” he said. In Pinehurst, his great work includes the resort’s No. 6 and No. 8 courses, along with 36 holes at Forest Creek. “Ah, Pinehurst and the Sandhills, I love it so,” he said. “That rolling terrain with tree cover, the elevation changes that helps you so much with framing. In several decades in the business, Fazio’s style has been most defined by not having a certain style. While Jack Nicklaus is known for the toughness of his courses, Pete Dye for his unique and sometimes quirky looks and use of railroad ties, Fazio is proud of the fact that he has never been pigeonholed. “I would agree that I don’t have a signature style. I guess you could put a stamp on them that would make them appear the same, but to me that’s not necessary,” he said. With son Logan now doing a lot of the heavy lifting, Tom said he will continue working. With his six children grown and 15 grandchildren, he spends April through October in Hendersonville and winters in Florida. Fazio Designs has three new projects in the works, in Nashville, Tenn., Austin Texas and the New York area.